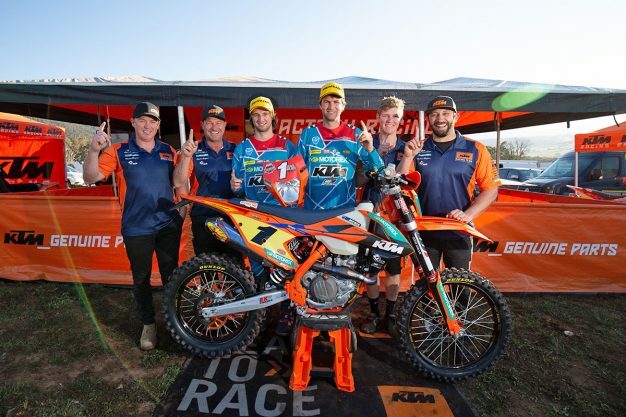 AORC championship winner on his dominant 2018 campaign. It’s been a spectacular year for KTM Enduro Racing Team’s Daniel Milner, dominant in the 2018 Yamaha Australian Off-Road Championship (AORC) after clean-sweeping the E3 championship to capture the title at Omeo, Victoria, last weekend. 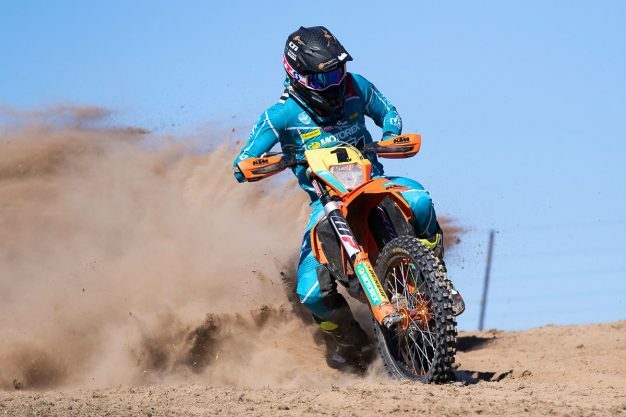 Stepping up to the 500 EXC-F for this year, Milner again proved the class of the field outright as well and has now won titles from within the E1, E2 and E3 categories in convincing fashion. MotoOnline.com.au spoke to Milner post-race on Sunday afternoon to get his take on the year that was, as well as next month’s International Six Days Enduro (ISDE) in Chile. I’m pretty excited to bring home my third championship outright and also the class title as well. To be the first guy to ever win on all three bikes – E1, E2 and E3 – outright is pretty cool, which was my goal coming into this year. To do that is awesome, I’m stoked to be able to and also to clean-sweep the E3 class as well. It was a solid year! We had a little bit of trouble with testing at the start of the year, just changing up some stuff, but once we got that sorted it’s when the ball started rolling a bit better. That little mishap we had at Hattah motivated me a lot, to see someone else on top of the podium made me want to push harder and finish off the rest of the season as strong as I could. That’s what we’ve gone and done, so I’m absolutely stoked we were able to do that. It was good. There was some bad luck with the conditions, like a lot of the rounds have been pretty bad conditions-wise, being really dry and dusty. They got some rain Wednesday night leading up to the event, which looked like it would be real good for Saturday, but by the time we got out there it was dug down pretty deep into the powder and really bad. The track layout and effort of the club was awesome though, I think everyone enjoyed the weekend and it was a good weekend’s racing. Yeah, I guess we’ve been riding powdery dust all year, so we should be set for the six-day! I’m looking forward to it after being bridesmaid two years there, so personally I’d like to win, but obviously it’s a team event as well. Hopefully we can bring the trophy home for the Aussies, but individually there are a lot of fast guys so that will definitely make it hard. I will do my best and see what happens at the end of the day. I think so. The benefit for us this year going into the six-day is that we’re bringing our own bikes, so I think that will help me a lot more. Especially because the bike is a weapon – we’re taking our Hattah engine, which for those conditions in Chile will be real strong in the deep sand and also the rocky terrain. We’re the most prepared that we can be, so we will see what happens at the end of the six days of racing.